The past 3 years have been an incredible adventure. Sadly, it is time to bid farewell to this chapter. My family will be relocating to Miami and Dolci di Franci is coming to an end. What started off as a simple desire to spread the knowledge of Italian desserts, baking cakes from my home has turned into a brand that I am so proud of to share with you. Week after week, your delight in my cakes has kept me inspired to continue bringing the best of Italian desserts to you. Thank you for your unwavering support throughout this journey. You, the Dolci di Franci family and friends have made me feel a part of the Brooklyn community. Though it's a goodbye for now, we'd always love to hear from you! Feel free to email me: franci@dolcidifranci.com. Francesca Spalluto is an accomplished baker and classically-trained chef, whose signature cakes and chocolate salami are a fresh spin on old world European traditions. Having trained at the International Culinary Center in New York (formerly the French Culinary Institute), Francesca is committed to creating a unique and captivating dessert experience. Francesca’s natural talent for baking was evident even during her career in financial risk management. Having made some cakes for her daughter's 4th birthday party, Francesca found herself inundated with requests for more of her delicious cakes. Guests were intrigued by her artisan creations which were deep in flavor and just the right touch of sweetness. The idea for DOLCI DI FRANCI was born. 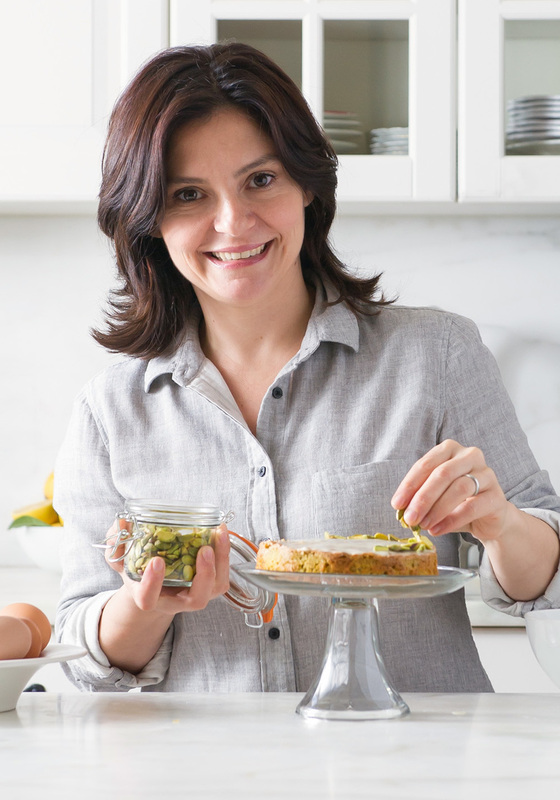 Now, as the visionary baker behind DOLCI DI FRANCI, Francesca is able to bring her passion for baking and Italian traditions to the modern customer. Through each handcrafted cake and chocolate salami, Francesca has built a loyal following of 'Franci fans' and continues to develop recipes that surprise and delight the palate. Francesca has lived in Italy, London and Monte Carlo, and now calls Brooklyn, New York her home. Her husband, son and daughter are all thrilled to participate in Francesca's frequent cake testing sessions. Discover the four DOLCI DI FRANCI cakes and our newest addition to the journey - chocolate salami. DOLCI DI FRANCI's signature cake. 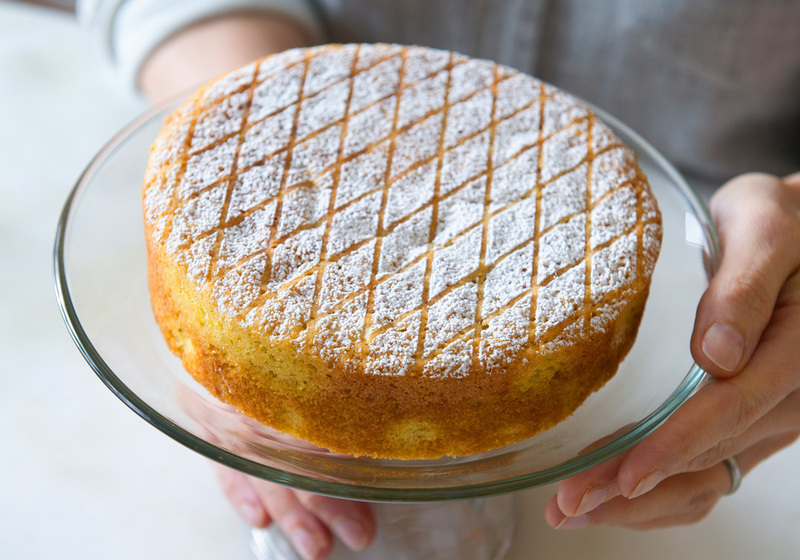 The limoncello cake is vibrant with fine almonds and fragrant lemon. Think of this Caprese Bianca as the bright and sunny counterpart to the dark and chocolaty Torta Caprese. It celebrates the rich lemon flavor Italians love so much. Each cake is infused with the famous Limoncello liqueur which uses the aromatic and juicy Sfusato Amalfitano lemons of the Amalfi Coast. 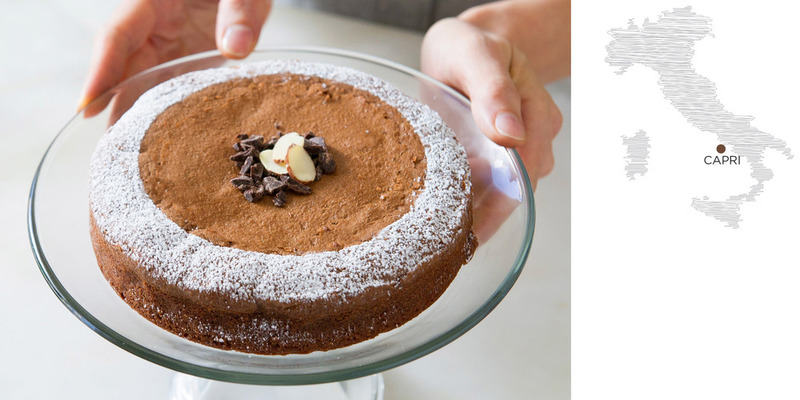 Along with simple, fresh ingredients, it makes for a truly spectacular cake experience. Made from: organic eggs, almond flour, white chocolate, confectioner's sugar, extra virgin olive oil, cane sugar, potato starch, limoncello, candied lemon peel, vanilla paste, baking powder, pure lemon oil. 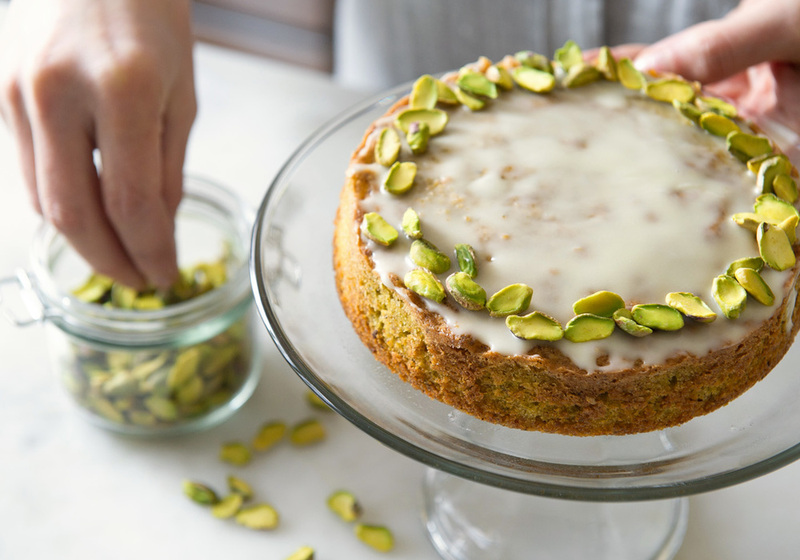 Luscious with smooth, colorful pistachio nuts, this cake is inspired by Sicilian cake traditions. In the past, pistachios played second fiddle to almonds in many Italian recipes. The pastry tradition of the island dictated that almonds be the key ingredient. 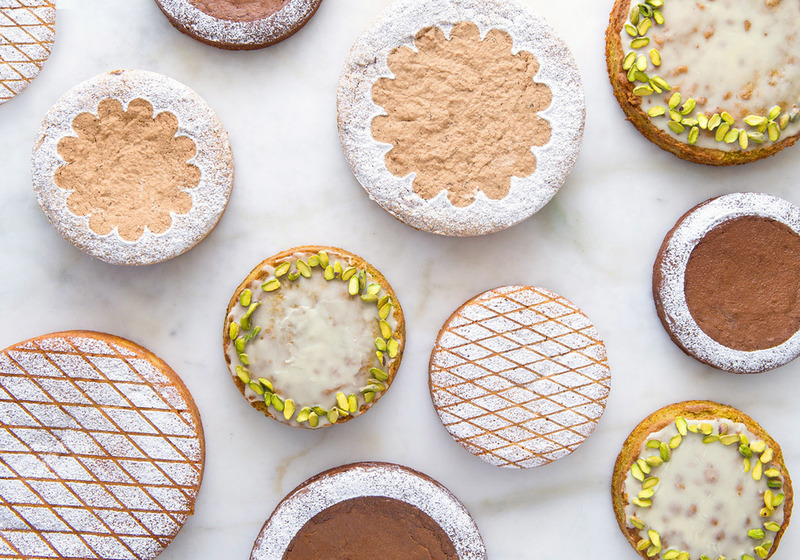 In recent years, however, more and more products are celebrating the lively pistachio, and letting it shine front and center. Made from: confectioner's sugar, organic eggs, butter, organic pistachio flour, rice flour, organic pistachio pieces, vanilla paste, orange juice, potato starch, tapioca starch, salt. Originates in the island of Capri and is rich with dark chocolate and finely ground almonds. 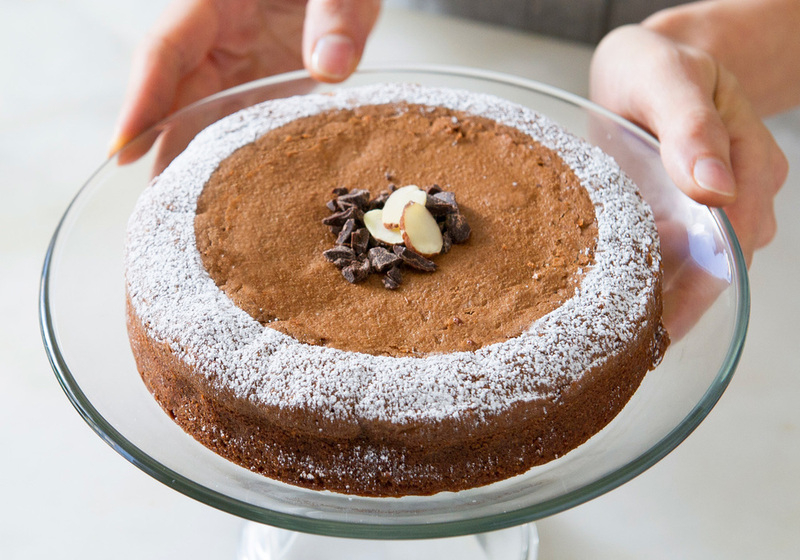 A specialty cake from Langhe, Piedmont and is unique with aromatic, roasted hazelnuts. This rustic, noble treat is a true star of Piedmont cuisine. To witness the intense love Italians have for this distinctive nut, visit Cortemilia in the Langhe region. Every August the small, picturesque town turns into a celebratory hub of ancient traditions and all things hazelnut. Made from: hazelnut flour, cane sugar, organic egg whites, 63% dark chocolate, confectioner's sugar, salt. YOUR CAKES ARE MADE FROM NUT FLOURS, AND YOUR CHOCOLATE SALAMIS CONTAIN WHEAT-FREE COOKIES DOES THAT MEAN THEY ARE GLUTEN-FREE? My products do not contain wheat flour. However, the cakes and chocolate salamis are not made in a certified gluten-free environment. I do take the utmost care in cleaning our equipment and keeping ingredients separate from one another. We will soon be offering our chocolate salamis online! Keep an eye out for the online store in November 2017. At the moment, we do not sell the cakes online, but you can click on find a list of retailers on my website where my products are sold. If you are a retailer, please email me at franci@dolcidifranci.com or call me at 917.831.0329 to inquire about placing a wholesale order. DO YOU SHIP YOUR PRODUCTS? Great news - we do ship our chocolate salamis! Our online store is currently under construction and will be ready November 2017. In the meantime, please email franci@dolcidifranci.com to place your orders. Shipping fees will apply. Unfortunately, my cakes are not available to ship. You can buy them at the Brooklyn locations listed here www.dolcidifranci.com/wheretobuy. WHAT SIZE ARE THE CAKES? IS THERE MEAT IN THE CHOCOLATE SALAMIS? This is one of the first questions I get asked about chocolate salamis. No, it looks like a salami but it's 100% chocolate (which makes it vegetarian-friendly too!) The name simply comes from the resemblance of the dessert to its more well-known meat version. WHAT SIZE ARE THE CHOCOLATE SALAMIS? Our chocolate salamis are available in 2 sizes: the small one weighs 170g / 6 ounces, and the large one is 340g / 12 ounces. HOW LONG DO YOUR CAKES KEEP AND DO YOU HAVE STORAGE RECOMMENDATION? My cakes have an unrefrigerated shelf life of 5 days, if they are kept in a cool and dry place. Shelf life can be extended by 2 days if refrigerated and by 2 months (maximum) if frozen. If refrigerated or frozen, please allow the cakes to come to room temperature before enjoying them. HOW LONG DO YOUR CHOCOLATE SALAMIS KEEP AND DO YOU HAVE STORAGE RECOMMENDATION? My chocolate salamis are best kept in the refrigerator which will make it easier to slice and serve. These have a shelf life of 6 weeks - if you manage to not devour all of it before then! ARE THESE ALL TRADITIONAL ITALIAN RECIPES? Yes, they all are! As with all traditional recipes, there are many variations for each recipe. I try to keep the recipes as close to the original local tradition as possible. 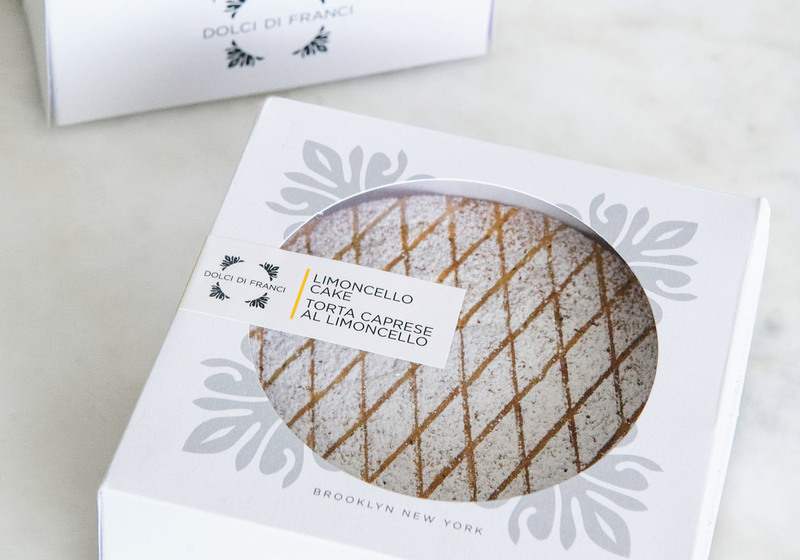 WHAT DOES DOLCI DI FRANCI MEAN AND HOW DO YOU PRONOUNCE IT? 'Dolci' means 'desserts' in Italian and 'Franci' is short for 'Francesca'. Pronounced DOHL/tcheh dee FRAN/tcheh. IS THE LIMONCELLO CAKE SAFE FOR CHILDREN? Yes, the limoncello cake is safe for children. My children enjoy this cake often. The limoncello is added before baking begins. The alcohol in the limoncello evaporates in the baking process and only the limoncello aroma remains. To place an order, or if you have any questions, please call or email us.